For some, the recent collapse of UK music and DVD retailer HMV is another sign of a music industry undergoing an increasingly rapid and radical transformation to digital. 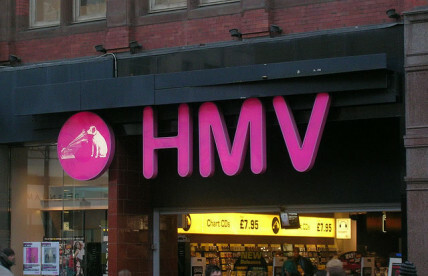 Although this is partly true, the dramatic situation that HMV finds itself in owes as much to generic business incompetence as it does to the change in the way society listens to music. What isn’t in doubt is that we are in an inexorable move from physical to digital. The recent Nielsen Company and Billboard’s 2012 Music Industry Report shows physical CD sales declining by 13.5% compared to an increase of 14.1% in digital album sales and 5.1% in digital tracks. In many countries, including the US, UK and Australia, digital has surpassed physical in unit sales. Of course, in cash terms, this means a reduction in the amount of money coming into the music industry as digital music is significantly cheaper than its physical counterpart. However, a study has shown that musicians derive most of their income from performances and teaching with music sales only making a small part of their income. There are many factors driving the uptake of digital music. Digital music is cheaper and it is increasingly likely that this is the format that the music will be listened to through a smartphone, mp3 player or computer. Another factor highlighted by the Nielsen survey is that a large proportion of music sales are from music that is not “current” and is from the full catalog and what is called the “deep catalog” – older and rarer items. Physical music stores always had trouble selling anything other than the most popular records because of the sheer cost of maintaining stock for items that may only sell a limited number of copies. The web has changed all of that making discovery of music that much easier and reducing the cost of supplying from the full music catalog equal to selling the most popular current items. Although CDs will eventually go the way of vinyl to become a very small part of the market, the question for the music industry is whether digital downloads will themselves be replaced by digital streaming. Teenagers are pointing the way here as according to one report more teens are listening to music through YouTube than through any other source. Despite scepticism, music streaming services like Spotify are growing rapidly. Spotify offers free advertising driven versions of its service on the web in addition to a monthly paid subcription and reported having 20 million users with 5 million paying monthly fees. Most importantly, one million of those paying subscribers are in the US. It is not clear what the overall subscriber base is but the overall size of streamed music is massive, with Gotye’s “Somebody that I used to know” being streamed 45 million times in 2012. Including video, “Call me maybe” by Carly Rae Jepsen was streamed 120 million times. While Apple still dominates the digital download market, with iTunes making up 64% of all downloads in the second quarter of 2012, this is unlikely to last. Having songs that need to be synchronised across devices is a nuisance to consumers, and services like iTunes Match which allow the storing of the files in the Cloud don’t necessarily address this. Streaming services are also more social, with the ability to create playlists and share these easily being a popular feature. Spotify has one billion playlists in service with 4.7 million of them called “love”. There has never been a better time for musicians in the reach they now have for their music through digital download and music streaming services. For music retailers, the story hasn’t been as positive. As with all disruptive change, the same companies that were successful in one evolutionary stage will not necessarily be those that are successful in another. For consumers however, there is more choice, music is cheaper and has multi-format convenience. We have more control over what we listen to at all times, making the creation of a sound-track for our lives and sharing it with others part of our digital makeup.